Senator Elizabeth Warren spoke during her campaign event in Dover, N.H.
‘I AM ANGRY AND I’ve had enough,” said the warm-up speaker. No, this wasn’t an introduction for Donald Trump, though it oddly imitated the populist fervor that fueled his political rise. “I’ve had enough of a celebration of ignorance,” he went on, as the crowd began to clap along. “I’ve had enough of the bigotry,” and so came the whoops and hollers. “I’ve had enough of turning a blind eye to the science that is damning the next generation of Americans,” which brought even more applause. The speaker at New Hamphsire’s Exeter Town Hall was introducing the edgiest, most uncompromising, and, yes, angriest, candidate in the Democratic presidential field: Elizabeth Warren. She is staking her presidential aspirations on the hope that Democrats in 2020 will gravitate to a message of fiery, uncompromising populism. Warren delivered a similar rap the week before in New York’s Long Island City, just a few days after Amazon conceded defeat in its effort to move its headquarters to the area. Her audience of largely white, outer borough hipsters and longtime Democratic partisans lapped it up. More recently, however, Democratic presidential candidates — convinced that the populist rhetoric of yore alienated more voters than it attracted — have softened their edges, moderated their stances, and lowered their aspirations, content to push for incremental change rather than big reforms. Warren is going in the opposite direction. A DECADE AGO I wrote a book on presidential campaign speechwriting. One of my key arguments was that an essential element of any successful run for the White House is an aspirational message. People need to be inspired, or so I argued. While there is an underappreciated aspirational element to his “Make America Great Again” slogan, Trump was — and will remain — an angry, resentful, bile-filled candidate. Warren is certainly not that. She understands policy. She speaks in complete sentences. Her applause lines are not “build that wall” but rather “make the Supreme Court follow basic rules of ethics” (which got a rapturous ovation in Exeter). And unlike Trump’s campaign events, hers are ostentatiously upbeat. She darts across the stage, punctuating her remarks with finger-pointing and fist pumps, and fixes an approving and empathetic gaze on questioners, even when she disagrees with them. She’s very good on the stump but one still does not confuse Warren with a natural politician. Having arrived at politics late in life, she lacks the polished charisma of Barack Obama, Bill Clinton, or Ronald Reagan. One can sense a palpable awkwardness, a feeling that she is fighting to present herself to voters as a folksy and cheery politician rather than the pugilist that clearly lurks within. At every event, she tells an affecting tale of her experience growing up in Oklahoma and her parents’ economic challenges. She doesn’t employ the gauzy rhetoric of American values or talk about the need for shared sacrifice. Instead, she rouses her supporters with an outrage at the inequalities in American society that feels remarkably genuine. In short, Warren doesn’t do lift. Warren is not hiding her ambitions: “We need big, systemic change in this country,” she says regularly. Indeed, her sweeping policy platform — on everything from housing and child care to political reform — is remarkably detailed. She recently unveiled a proposal for breaking up major technology companies, like Facebook, Google, and Amazon. She has proposed an “Ultra-Millionaire Tax” to pay for new safety net programs and has even called for jail time for corporate CEOs who break the law. Late last month she unveiled a plan for breaking up the power of big agricultural companies. While announcing the latter, she quoted from William Jennings Bryan’s “Cross of Gold” speech, which, when delivered at the 1896 Democratic National Convention, not only won Bryan the party’s nomination for president, but infused the message of prairie populism into the bloodstream of the Democratic Party. BUT COALESCING POPULIST anger on the left may not be as easy for Warren as it was for Trump on the right. Resentment and anger are the oxygen of the modern conservative moment, fueled daily by fear mongering on Fox News and the president’s angry public statements, while modern Democrats, no matter how frustrated they might be at the status quo, aren’t accustomed to rallying around the same emotional appeals. Consider that in 2008, after eight years of George W. Bush’s presidency — one that sparked revulsion among Democrats about the direction of the country — the party supported a candidate, Barack Obama, who talked about bringing blue state and red state America together. That said, one might argue that Bernie Sanders’s candidacy heralds a new angrier populist Democrat, with his recurrent attacks on millionaires and billionaires and his broad reform proposals like Medicare for All. Sanders has almost certainly seeded the turf for Warren’s message. Yet as a presidential candidate, Sanders has also pooh-poohed major reforms, including the notion of packing the Supreme Court with liberal justices, offering reparations to black Americans, or ending the Senate filibuster. Warren, on the other hand, has spoken approvingly of all three ideas. Just last week, she announced her support for ending the Senate filibuster. There’s little question that when it comes to policy, warren is putting her money where her mouth is. So the question remains: Will Democrats across the country support a candidate who minces no words in her frustration with the status quo, and offers no quarter to her political opponents? Will they rally around a candidate pushing such an ambitious platform of political change? 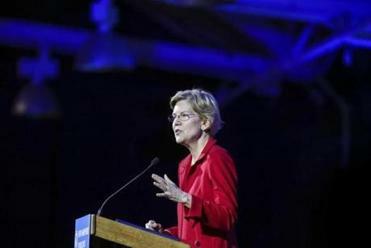 History suggests that as a progressive populist, Warren faces a tough slog. It’s been decades since a Democratic candidate successfully ran on rage. Populist candidates — from George Wallace and Howard Dean to Ross Perot and yes, Donald Trump — who channel voter anger tend to burn out or alienate too many voters to be successful. Moreover, while political junkies may spend an inordinate amount of time on Twitter, that’s hardly real life. Most Democrats pay little attention to the outrage du jour and tend to be more moderate and less “woke” than the denizens who haunt social media. Warren’s message is resonating, one hears regularly in conversations with Democrats, including voters I spoke to in Exeter, but in the same breath they express a fear that she cannot compete effectively against Trump. It’s an ironic complaint because in seeing Warren on the stump, one gets the sense that she is the one Democratic politician most looking forward to the opportunity to lock horns with the president. As a female candidate, she will face additional challenges. 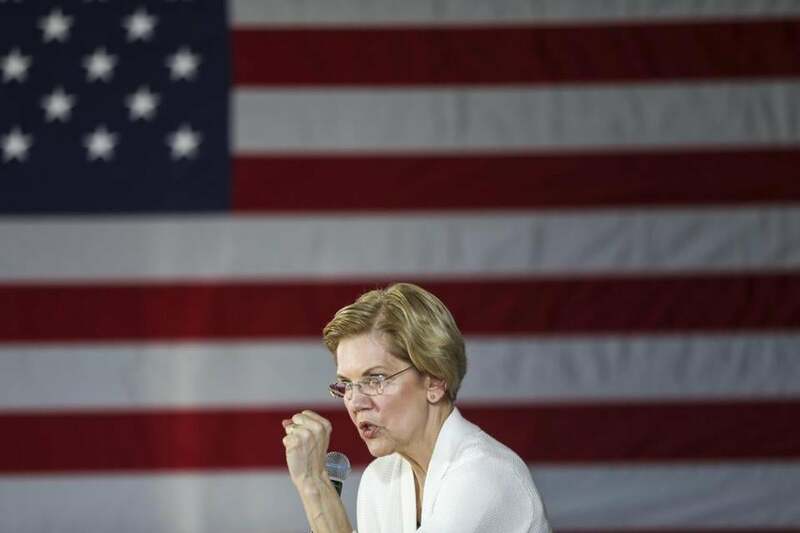 It seems inevitable that a candidate who pushes the envelope as Warren does, and who so lacerates her political opponents, will be labeled in the manner that aggressive women have for generations: shrill or strident. Anger from a female candidate simply is not judged in the same manner as anger from a male candidate. However, as Soraya Chemaly, a journalist and author of the recent book “Rage Becomes Her: The Power Of Women’s Anger,” said to me, “Many of the women who won in 2018 ran on angry platforms. Their anger was a powerful source of their vision” and it was largely “aspirational.” It was, suggested Chemaly, an “anger of hope” rather than an “anger of resentment.” But when it comes to president, she says, attitudes are different. It’s far from clear that what worked for congressional and senatorial candidates will translate to a female figure seeking to be the nation’s highest elected official. Still, Trump’s election has upended the usual rules. The growing polarization in our politics created an opening for a politician willing to tap in directly to voter frustration. Can a Democratic candidate who is mad as hell and, figuratively, wants you to get out of your chair, open the window, and tell the world, do what Trump did in 2016 and win the White House? Only time will tell. But one thing seems clear: Elizabeth Warren won’t go down without a fight. Michael A. Cohen is a regular Globe columnist.